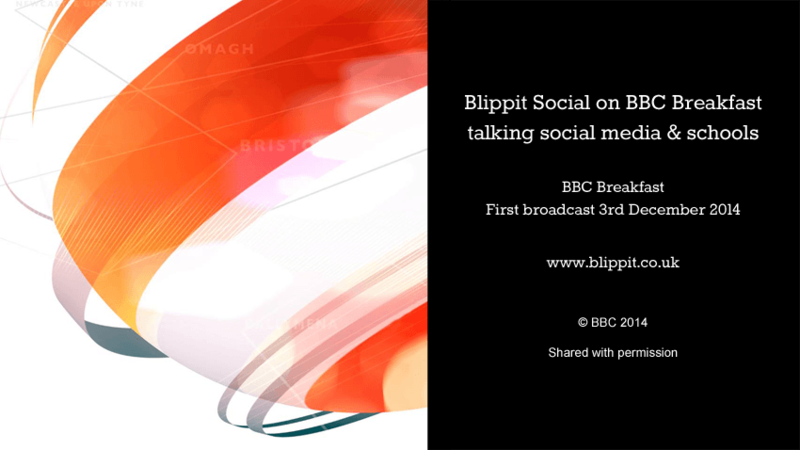 This week I went on to BBC Breakfast’s famous red couch for Blippit Social. 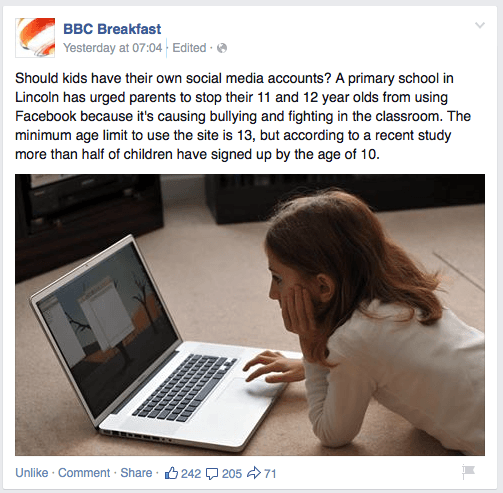 I was lucky enough to be invited on to the programme to comment and advise on the use of social media by schools and attitudes of parents to the subject more widely. The context for the piece was the question of whether or not a primary head teacher of a school had done the right thing by sending home a letter essentially telling them not to let their children go on Facebook, they were too young etc. 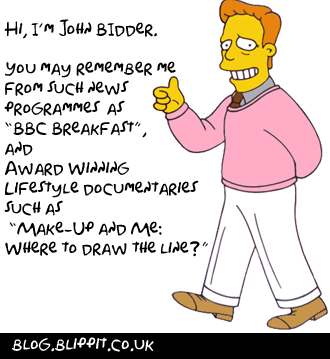 When Bill Turnbull (my mum’s favourite presenter second only to Michael Palin) asked whether the school had done the right thing I essentially said yes – for that school it was the right thing. Saying anything else would have been wrong and only inflamed the story. Not knowing or understanding the school’s context and history only the Head himself could say, on reflection, anything else. Every school is different and that includes it’s community; having worked with as many schools as we have over the years there’s no doubt about that. We do know now that done right, even Ofsted inspectors see huge value in our parental engagement approach. Viewers’ comments on the BBC Breakfast programme Facebook thread on the day show that there is no one single view when it comes down to it. Parents do share the same essential views on safety but not necessarily the same view on what should be done and how to ensure it. Check the comments out to see what I mean. It’s just where we’re at in our evolution; ‘learning’ how to use tools for which there are no real rules; only arbitrary age limits and everyone’s common sense. What options are there then for young people, parents, teachers and companies on the best use of social media platforms linked to education? raise age limits for access? increase reporting tools to expedite action? boycott technology like phones, tablets etc? enforce tough technology filters for home access? enforce and introduce new legislation? or support, educate and make users part of the solution? And finally. Of course being a very British thing to do I landed lots of stick for being spotted on the TV so if you can’t beat them, join them. Next PostNext Festive Thanks & Best Wishes for 2015 from Blippit!